Romeo Akbar Walter (RAW) 4th Day Collection, John starrer Passes Monday Decently! 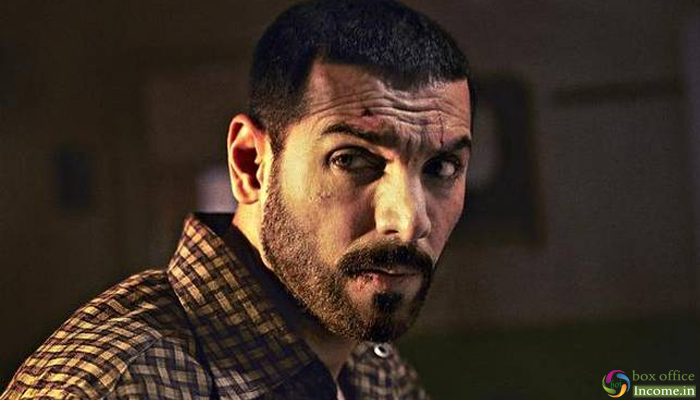 Robbie Grewal directorial Romeo Akbar Walter (RAW), starring John Abraham in the lead role, had a slow start at the box office. RAW is facing competition from the DC superhero film Shazam, which released alongside the film last Friday. Also starring Mouni Roy, Jackie Shroff, Sikandar Kher, Suchitra Krishnamoorthi, and Raghubir Yadav. On the opening day, Robbie Grewal’s directorial action thriller took a slow start in the morning but ended the day on a decent note and collected 6 crores. Then over the weekend with a fair growth, it minted the amount of 7.70 crores on Saturday & 9 crores on Sunday. Now Romeo Akbar Walter has entered on weekdays and witnessed a usual drop in footfalls due to normal working days. On Monday, it faced a decline of 51.38% than Friday and raked the business of 2.92 crores. With this, its 4 days total collection has become 25.62 crores nett from around 2200 screens at the domestic box office.